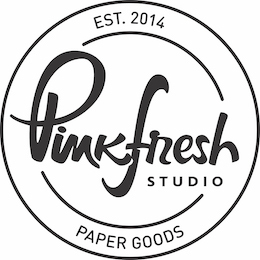 Pinkfresh Studio OUT AND ABOUT Cardstock Stickers pfrc300519 at Simon Says STAMP! Success, Pinkfresh Studio OUT AND ABOUT Cardstock Stickers pfrc300519 has been shared! Two 5.5 x 11 inch sheets of cardstock stickers in each pack. 63 stickers in all. Kinnari Zaveri, the owner of Pinkfresh Studio, has developed a small range of exclusive washi tapes, enamel stickers, color blocked wood veneers and stamps! Her products offer a bit of a twist and fresh take on craft embellishments. Pinkfresh Studio offers various stamps, dies, paper packs, and much more!